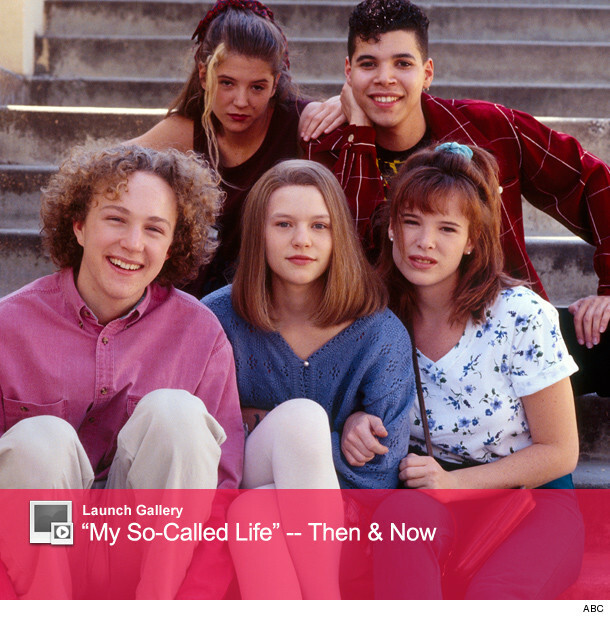 From January to August 1994, ABC aired one of the most honest and critically acclaimed teen dramas ever, "My So-Called Life." Unfortunately for the show's core fan base, it was canceled after only one season -- but not before introducing the world to Claire Danes and a dreamboat named Jordan Catalano (Jared Leto). And while we've seen plenty of those two lately, whatever happened to the rest of the show's cast? Rickie Vasquez (Wilson Cruz), Brian Krakow (Devon Gummersall) and Sharon Cherski (Devon Odessa) had a mini high school reunion over the weekend at the ATX Television Festival, where they got back together in public for the first time in almost 20 years. The three actors were joined by show producer Winnie Holzman for an exclusive interview with toofab's Brian Particelli. Watch Part 1 below to find out what had Wilson crying when they finally all met up. During our chat, Holzman said the show had a "significant" teenage girl fan base -- "and, at that time, the idea of that being the audience was almost like meaningless." "We actually got pretty decent ratings," adds Gummersall. "They'd be crushing everything on TV right now." In fact, the cast not only believes the show would be more successful today, but they also think they paved the way for shows currently on The CW and FOX. So we had to ask, if the show did come back now, what would their characters be up to? Watch the video below to find out. Winnie also revealed one very surprising piece of info during the interview: Jared Leto almost didn't do the show! Find out why the actor was hesitant to take the part of heartthrob Jordan Catalano. Plus, see if the cast thinks he's really that good looking in person. Still feeling nostalgic? "My So-Called Life" is currently available on Amazon.com. And be sure to keep checking back this week for more blasts from the past -- as we post exclusive interviews with stars from "Party of Five," "Friday Night Lights" and "Boy Meets World."